You might be looking at this title and wondering if I’ve finally lost the plot. What on earth has going to the gym, a hot, physical, difficult practice, got to do with blogging, a tiring, mental, difficult practice? Hear me out. 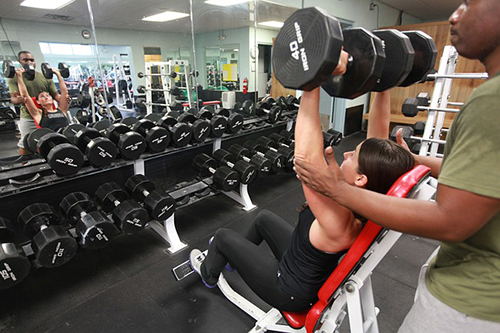 12% of a gym’s members sign up in January alone. But those gyms know full well that 95% of those members won’t make it to February. It’s an interesting figure – in 2009, the New York Times estimated that 95% of blogs were ‘derelict’ (aka abandoned). Some six years later, I doubt that figure has gone down. Developing a gym habit and building your blog aren’t as different as you might think. Both require a lot of effort, discipline, and planning. 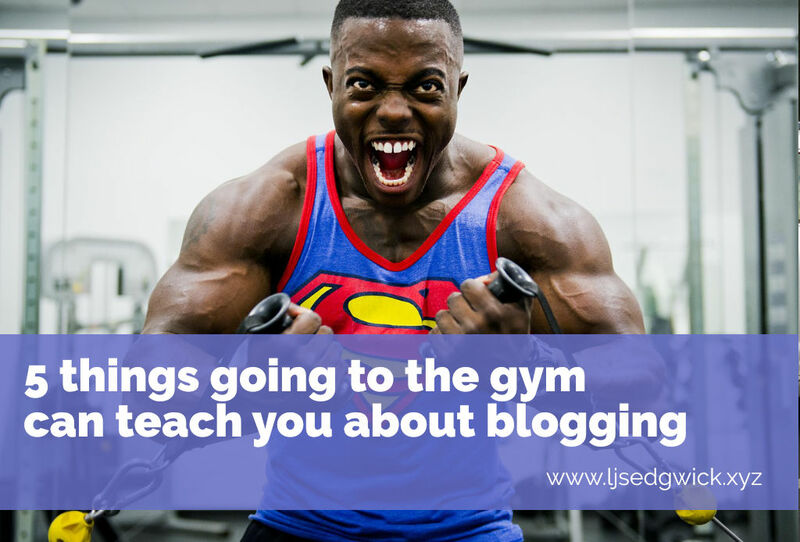 So even if you’ve never set foot inside a fitness centre, find out what 5 things you can learn from blogging by going to the gym. This guy wants you to succeed. So do I. You can’t move on the internet without falling over posts about goal-setting. As much as I hate to say it, goals are important. If you don’t know where you’re going, then how will you know when you get there? Sure, you can go to the gym with the general aim of ‘improving your fitness’. But you’d probably do that after a fortnight, so what would keep you going back? You need to have a goal in mind. Mostly because you have no goal, so you have nothing specific to track. My gym goal is to lose a certain number of inches by the end of the year. It gives me a thing to track and a deadline by which to do it. Your blog is no different. Simply having a blog is not enough. It’s not going to motivate you to work on writing the posts your users or customers need. 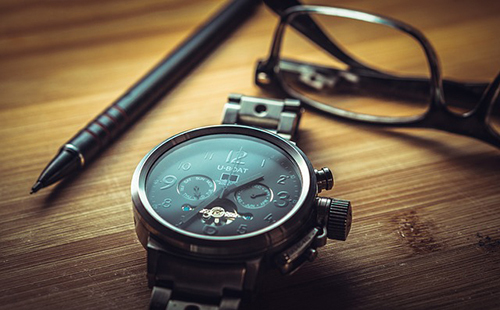 If you don’t have time to write posts, then working without a goal won’t make you magically find an extra two hours a week. Attaching a goal to your blog means you’re more likely to actually do something with the blog. After all, you have something to aim for. Here are some simple goals you can start off with. Post one new 1000-word article per week for 3 months. Double your weekly page views in 4 months. Achieve 100 social shares on a single post. Triple the comments you get per post in 6 months. I have the Samsung Health and Google Fit apps on my phone. They let me log my food intake, monitor my weight, and measure how much exercise I do. 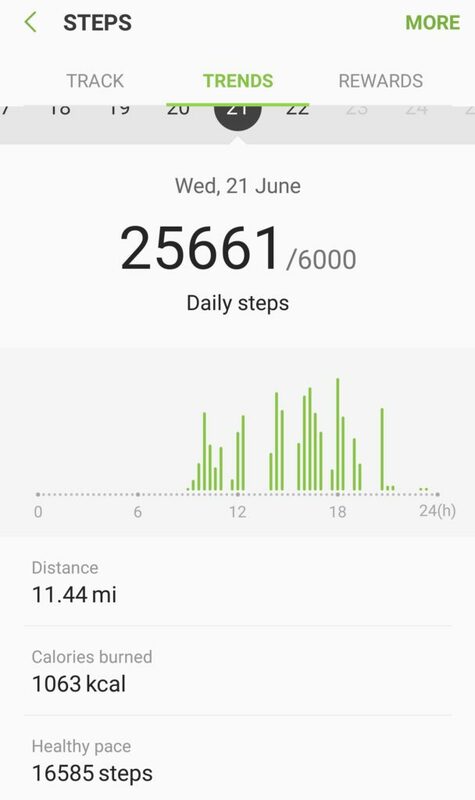 Yesterday, I did 25,661 steps – which is 11.44 miles. By tracking how much exercise I do, and how much weight I’ve lost, I can keep an eye on my progress. Otherwise, it would be easy to become disillusioned/bored with the gym and stop going. It’s pretty much the reason why the FitBit (aff link) has become so popular. Setting continual goals keeps you on track. It also means you can test blogging strategies and see if they actually work. If I check my analytics, I can see that in the last three months, my most popular posts have been around reader-friendly content and types of content. That helps me to know what else to write about in future. Which is another excellent way of staying motivated – I know people are reading. Even if you just keep a separate note in Evernote, tracking the number of social shares you’ve had, the number of comments per post, or the page views, then you can see what works. And what doesn’t. We’ve talked a little about discipline already. It’s possibly the hardest part of starting any habit, whether that’s the gym or blogging. I’ve had days where I’ve felt tired or sore, and decided not to go the gym that day. Then my next gym day rolls around and I find another excuse not to go. And so on. If I wasn’t careful, weeks could elapse before I went bak. By that point, I’d wonder if it was worth it. Does that sound like your experience with blogging? You’ve had ‘write blog post’ on your to-do list for three weeks straight. Every time you sit down to write, an important email lands in your inbox. Or you get a call you have to answer. And the post goes unwritten. The longer it goes on, the less likely you are to start writing posts. If you bring discipline into the equation, it makes blogging/going to the gym that much easier. If I don’t feel like the gym, I make myself go. I promise myself I’ll just go on the exercise bike for ten minutes. Even if I don’t do the full workout, at least I’ve been. Then an hour later, I realise I did the whole workout after all. Do the same with blogging. Make an appointment to work on your blog. Even if you give yourself three 30-min slots throughout the week. Show up, and get the work done. You might only be writing bullet points of what the content should be. Or you might look for the images. You might also find that you’ve suddenly got a post written without realising. If you want a solid method for writing blog posts, then grab my 5-step method (and checklist) below. Going to the gym can be really boring on your own. If you struggle with motivation, it’s easy to skip out on a workout if there’s no one there to call you on it. And if you have an amazing session that leaves you feeling like Captain America (or Wonder Woman, your call), it’s deflating if you have no one to celebrate with. Blogging is no different. Until you build a community of users around your tech or software, it’s hard to stay enthused about what you’re doing. I’ll be honest with you. When you first start out, blogging feels like howling into the abyss. I know, I know – the internet at large keeps telling you to ‘follow your passion’. But you need more than that. You could divide blogging duties between your team. Delegate posts in particular categories to different people. But what if there’s only you? You’re already CEO, head of sales, customer services, and HR. Even if you work with developers, you may not have anyone to buddy up with. An easy way to solve the problem is to hire a colleague. Specifically, a blogger or content creator. It essentially buys you time (so spend your blogging time working on your product/service) and it gives you someone else to talk about your blog with. 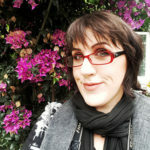 As it happens, I have spots available if you’d like me to be your blog buddy. Check out my services. It’s easy to get disheartened when you go to the gym for a week and you don’t leave looking like Arnie. Sure, it’s unrealistic to think that you would. But since when were humans realistic? Just like going to the gym, so you have to be patient with blogging. You won’t see most results immediately. Social media can be pretty good for short term validation, but any attempts at SEO take a few weeks to ‘bed in’. But remember that you’re building a community around your blog. It’s going to be a cool place for existing users to hang out, and a fun place for potential users to stop by. 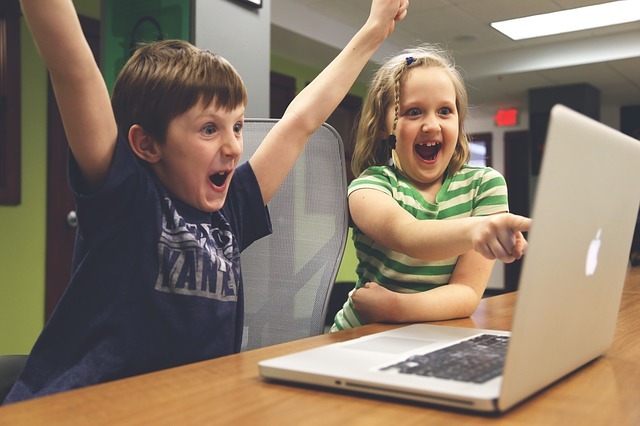 Your enthusiasm is going to shine through your blog posts and bring in the people who need your tech in their lives. Over to you! Have you ever given up your blog – or a gym habit? Let me know in the comments below! I love “Buddying up” for blogging. I’m a big fan (and promoter) of networking and growing an influencer network that helps everyone achieve great results. Networking is so important to grow a successful business online. Influencers can get you traffic, backlinks, and these can help you make more money blogging depending on how you monetize the blog. Of course, you should give back more than you take for the relationships to keep growing and moving forward. But that is the fun of it.